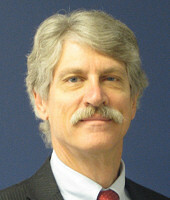 Avery Lawson-Stopps attorneys - Donald Lawson-Stopps, Esq. Don came to Maine after graduating from the University of Richmond, Class of '74. In 1979 Don began an apprenticeship in traditional wooden boat building at the Maine Maritime Museum in Bath. He and his wife Ruth bought a home in Bath in 1981 where they raised two daughters. They still live in that same house and enjoy being part of Bath’s community. In 1997 Don attended Maine School of Law. Don fulfilled his lifelong desire to study law after a full and satisfying career building custom homes, cabinetry, and architectural woodwork. Through five years as an Assistant District Attorney, Don developed invaluable trial skills and experience in Maine’s District and Superior Courts. He applies his business and everyday life experience when counseling clients and presenting cases to juries and judges. Don is a member of the Bath/Brunswick Bar, the Maine Bar Association, the Maine Association of Criminal Defense Lawyers, the Maine Trial Lawyers Association, and the Legal Services Food Hub. In the community Don has served on many non-profit boards. Today he serves on the Board of the UNA of Maine and the Southern Mid Coast Chamber of Commerce.